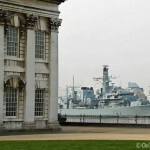 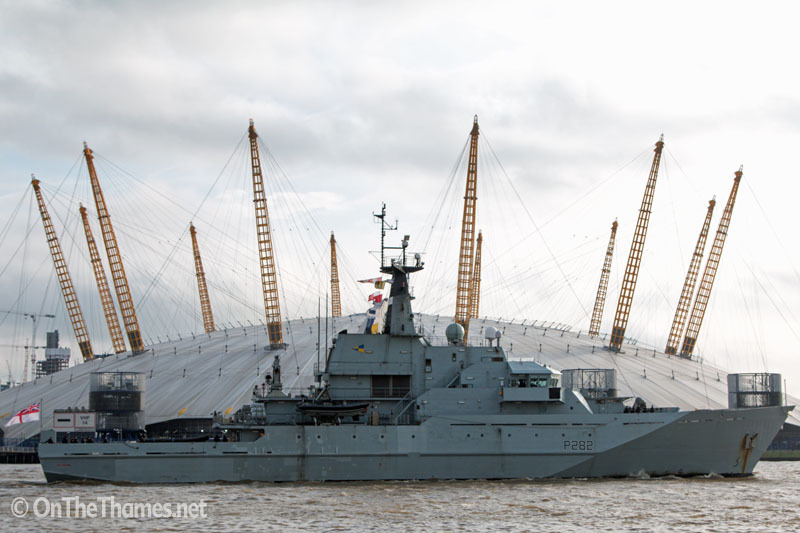 HMS Severn arrived in London yesterday afternoon and was greeted with a watery salute from a fire boat. 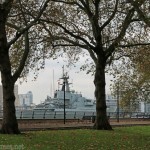 The River-class patrol ship is in the capital to help mark the 150th anniversary of the London Fire Brigade. 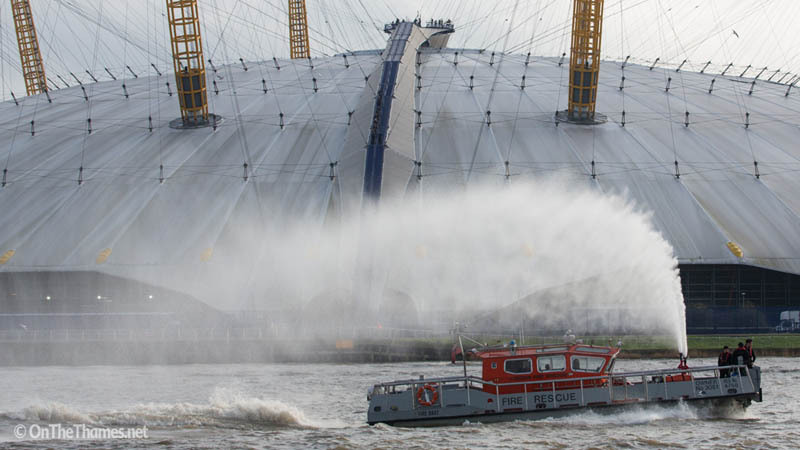 "Lucky Severn" was met by the fire boat, Fire Dart, at Woolwich and accompanied up Bugsby's Reach with water shooting into the air. 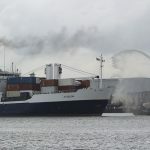 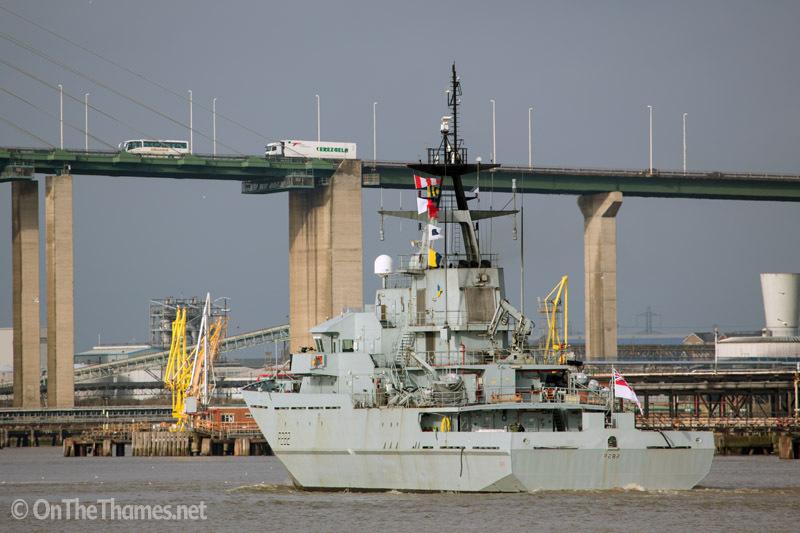 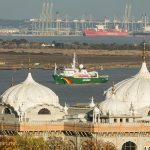 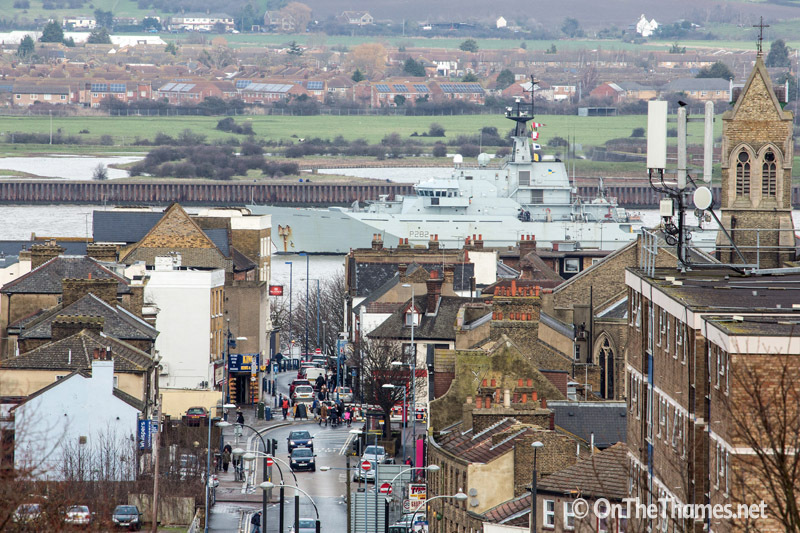 80-metre-long HMS Severn then turned in to West India Docks at the Blue Bridge where she'll remain until Wednesday afternoon. 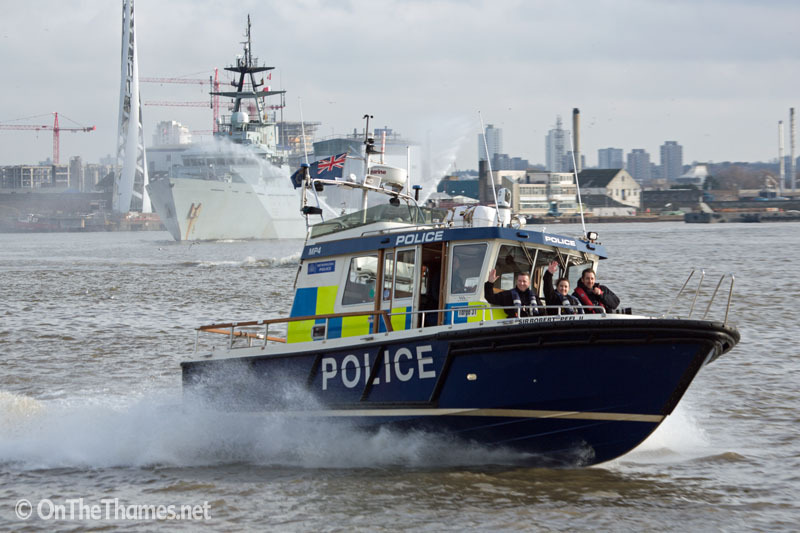 A capability demonstration will take place on board the ship on Monday night with guests including the London Fire Commisioner, Rob Dobson. 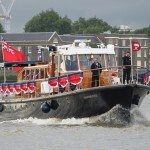 Mr Dobson commented: "The London Fire Brigade has long-standing links with the Royal Navy and historically, a large number of firefighters came from a naval background. 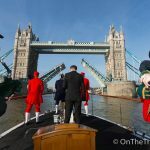 "It is therefore wonderful to be able to celebrate our 150th anniversary with these events aboard HMS Severn." 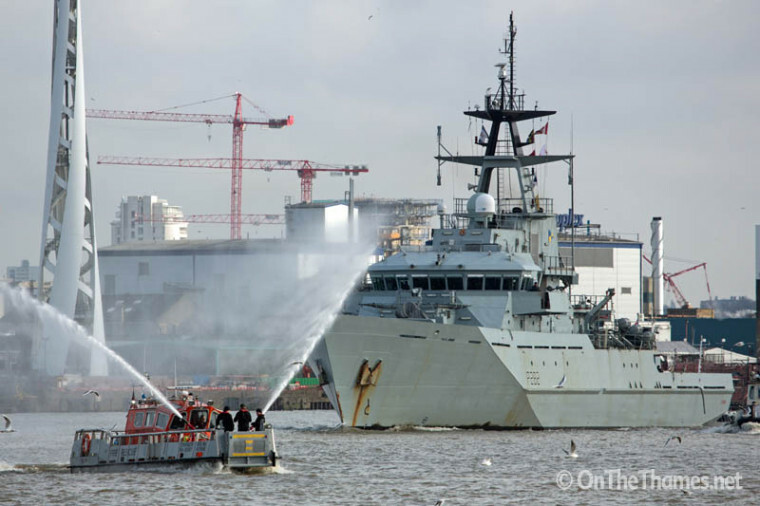 Commanding Officer of HMS Severn, Lieutenant Commander James Reynolds said: "My ship's company and I are looking forward to sailing HMS Severn to the capital and to joining members of the London Fire Brigade in celebrating their 150th Anniversary."